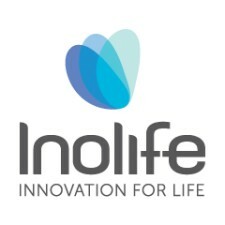 Toronto, Ontario, Canada, May 2, 2018	(Newswire.com) - ​​​​Inolife R&D Inc. (“Inolife”), an emerging specialty Medical Device Company, announced today the Nomination of Dr. Richard Gallo to its Advisory Board. 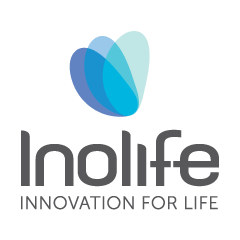 The addition of Dr. Gallo’s 20 years of experience will allow Inolife to continue positively impacting the world through the various markets its research and development technologies are serving. Dr. Gallo is an Interventional Cardiologist/Clinical Researcher at The Montreal Heart Institute, and an Assistant Professor of Medicine at the University of Montreal. He formerly trained at the Icahn School of Medicine at the Mount Sinai Hospital in New York City. Dr. Gallo published extensively on the role of Coagulation and Thrombosis in Acute Coronary Syndromes. “The time has come in 2018 that we evolve away from something that is as archaic and actually a little bit cruel, such as needles, to something that is less traumatizing physically and psychologically for the patients,” said Dr. Gallo. The time has come in 2018 that we evolve away from something that is as archaic and actually a little bit cruel, such as needles, to something that is less traumatizing physically and psychologically for the patients. Interventional Cardiology is a field where catheters are used to perform coronary angioplasty often with stents. Patients necessitate local anesthesia to get the procedure started. Often times, the most unpleasant aspect of these procedures, and the part most patients tend to recall with apprehension, according to Dr. Gallo, is not undergoing the procedure itself, but the local pain inflicted by the needle injection compounding their underlying stress and anxiety. ​Inolife R&D Inc. is an emerging specialty medical device company focused on developing and commercializing novel drug delivery technologies. Inolife commercializes patented and FDA-cleared needle-free injection devices. The company was founded to take advantage of novel techniques of the liquid jet and ballistics-based epidermal drug injection that improve patients’ quality of life by making medicines easier to administer, work better, and remove the anxiety and inconvenience associated with hypodermic needle injections. For more information about Inolife and its products please visit www.inolifesciences.com. President & CEO, Inolife R&D Inc.
Inolife is an emerging specialty medical device company focused on developing and commercializing novel needle-free technologies of liquid jet and ballistics-based transdermal drug injection for the pharmaceutical industry. Sign up for email updates from Inolife Sciences Corporation.